This posting includes: Silver light up LED skull mask as featured. These silver skull masks are something awesome! 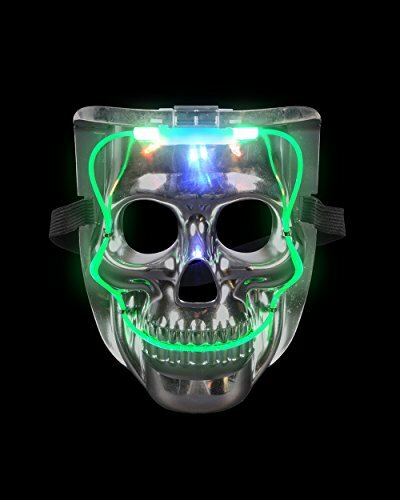 These skull masks light up with LED lights at the flip of a switch! These masks also feature an elastic band to make this mask a one size fits most. Batteries included. Great on their own and even better with the other costumes and accessories available in our store!